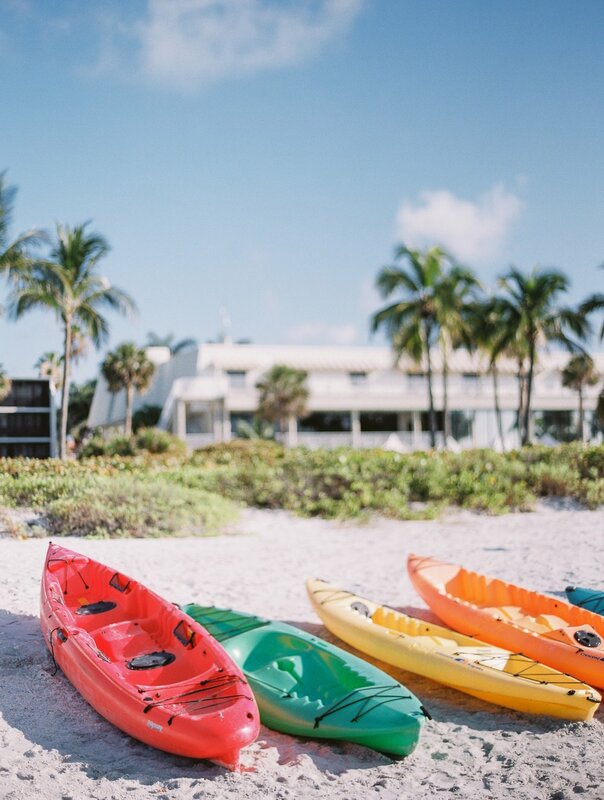 Here we are in the heart of a frigid winter (even for us Floridians at times) and I’m dreaming of warmer days. 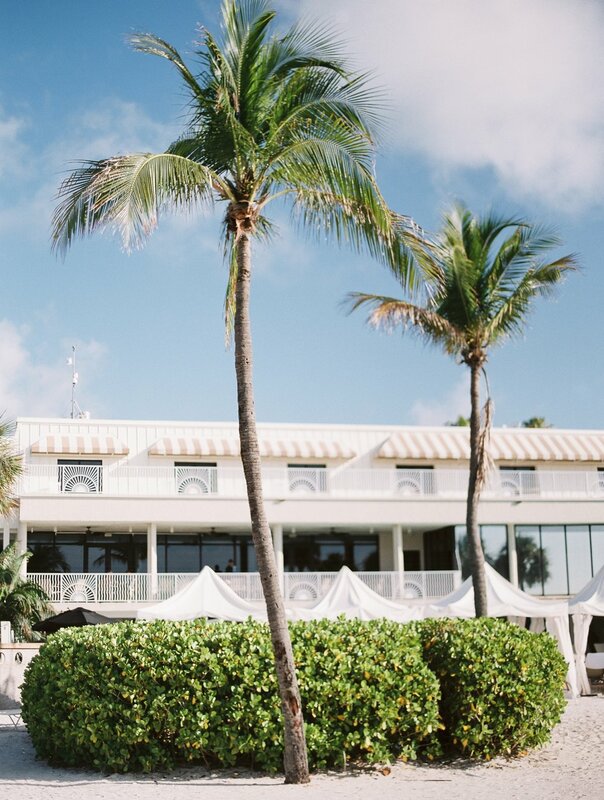 So why not share a peek into Alexa and Jordan’s seaside Sanibel Island wedding from this past summer. Revisiting these images is like a treat! I can almost hear the lull of the waves and the rustle in the palm leaves and nearly feel the sweet summertime sun on my skin. 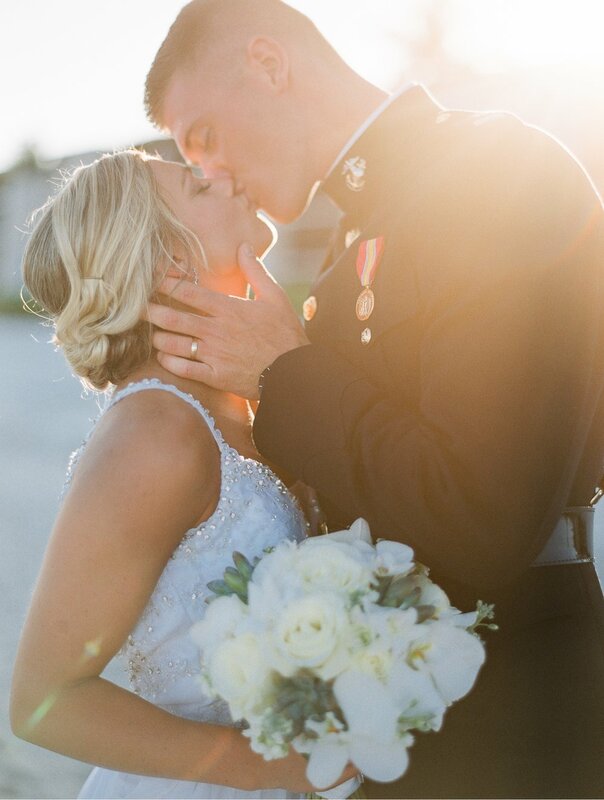 The setting, the details and the gathering of sweet family and friends at the beach certainly made this military wedding a celebration to remember. 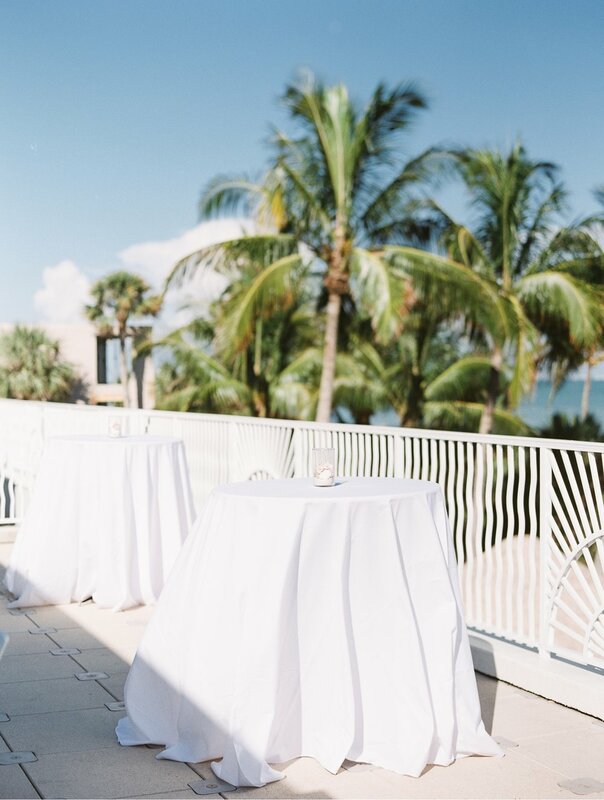 Sundial Resort was as lovely as it gets for a seaside getaway and provided the perfect setting for this destination wedding. The bride included so many thoughtful and sentimental details to honor her mother who passed away including a seat saved at the ceremony, a photo charm on her bouquet and a beautiful custom wedding gown made that included pieces of her mom’s own wedding dress. 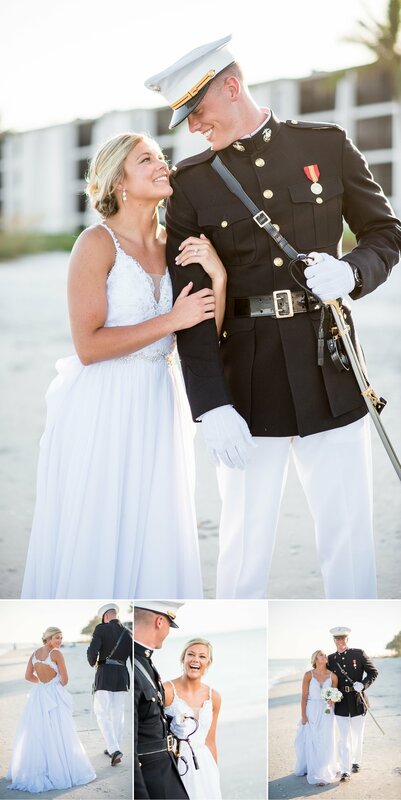 The groom being a recent graduate from the Naval Academy wore his full uniform along with many of the fellow military wedding guests. 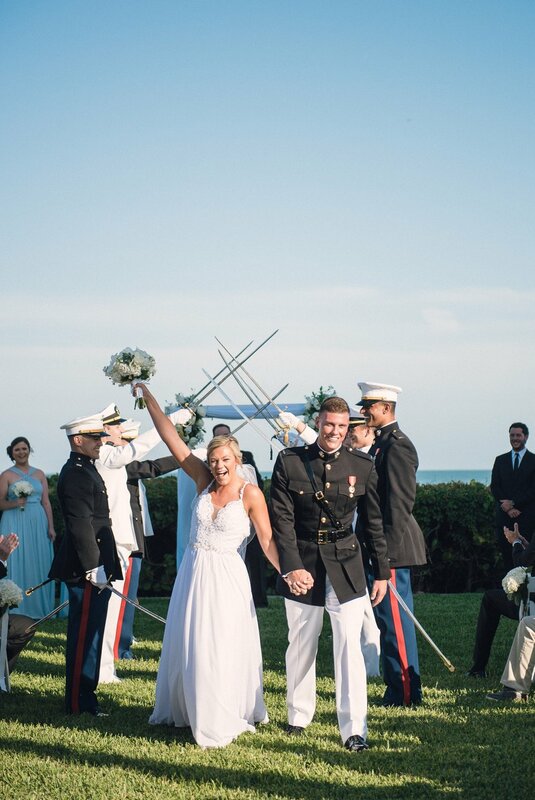 The bride and groom, freshly married, walked through the traditional sword arch, kissing to pass each pair of swords on their way back down the aisle. After their official wedding ceremony the two gathered by the shore with just their closest family to exchange their own personal vows hand in hand. Talk about the sweetest thing! The rest of the night was a full on celebration to the very end where the two ran through a sea of small waving American flags used as favors to their get-a-way car. Needless to say I was honored to be there to capture it all. Thanks for having me Alexa and Jordan!